Born February 8, 1926 in New Orleans/Louisiana, Pony Poindexter learned to play several reed instruments while still a youngster. 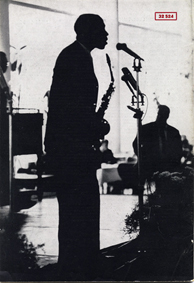 As with many saxophonists, clarinet was his first instrument before switching to tenor and alto, the instrument upon which he was later recognized as a strong and distinctive performer. One of the first bop-oriented jazz musicians to start doubling on soprano in the 1960ies, Pony Poindexter should have been much better known during his lifetime. Very early on he gained experience working in his home town with SIDNEY DESVIGNE (1940) and then in several bands including that led by LIONEL HAMPTON (during 1951-52. Pony attended the Candell Conservatory of Music in Oakland and established a reputation for ably accompanying singers, including BILLY ECKSTINE (in 1947; he touring with Eckstine´s Big Band a few times during 1948-50) and JON HENDRICKS. The very first recording session which he joined, was the one of guitarist/singer TEDDY BUNN in 1949 in Los Angeles. 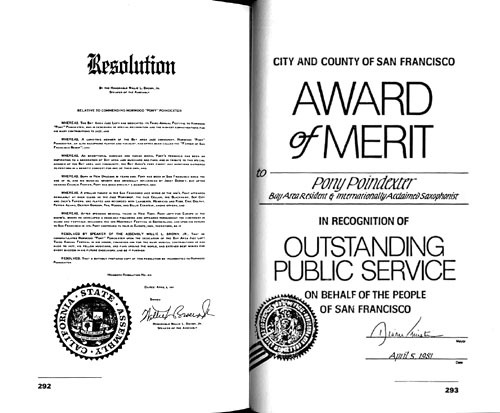 Pony was based in the San Francisco Bay area during much of his life. He worked steadily as both a sideman and a leader in local clubs throughout the 1950ies. He performed and/or recorded with the MONTGOMERY BROTHERS, JON HENDRICKS, BEV KELLY and SAUNDERS KING, and led recording dates for Epic, New Jazz and Prestige. In 1962 he recorded ‘Pony's Express’ (Epic) with DEXTER GORDON, ERIC DOLPHY, JIMMY HEATH, PEPPER ADAMS, SONNY RED KYNER and ELVIN JONES, and ‘Limbo Rock’ (Prestige). 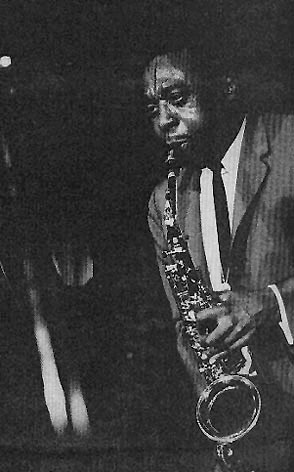 In 1963 he recorded ‘Pony Poindexter Plays The Big Ones’ (New Jazz), accompanied by the GILDO MAHONES TRIO: GILDO MAHONES, GEORGE TUCKER and JIMMIE SMITH and ‘Gumbo’ (Prestige), joined by BOOKER ERVIN, AL GREY, LARRY YOUNG, JERRY THOMAS, and again the Gildo Mahones Trio. During 1961-63, Poindexter has become a member of DAVE LAMBERT, JOHN HENDRICKS and YOLANDE BAVAN´s vocal group backup band. In 1963 he moved to Europe, performing with ANNIE ROSS and guitarist RENE THOMAS, appearing on his album ‘Blue Note, Paris 1964’ (Jeal Records). 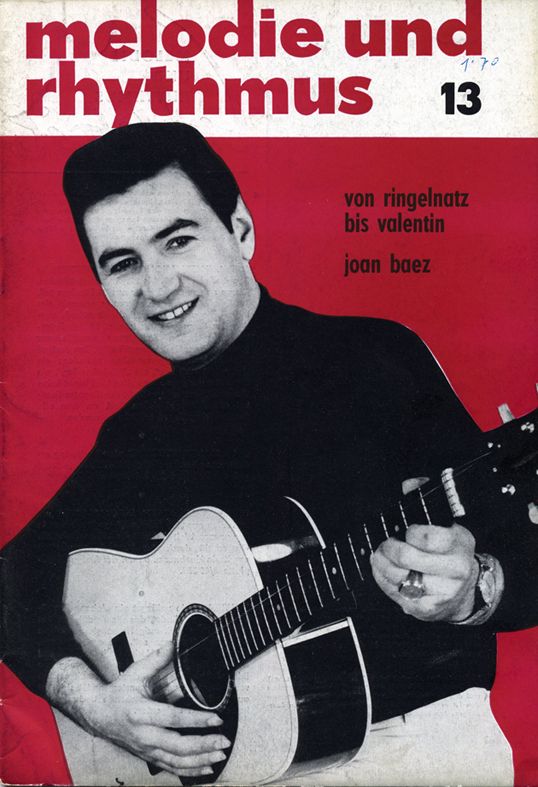 In 1966 he appeared at the ‘Tenth German Jazz Festival Frankfurt’, with ANNIE ROSS, CARMELL JONES, LEO WRIGHT, ANDRÉ CONDOUANT, FRITZ PAUER, JIMMY WOODE and JOE NAY. In 1965/67 Pony performed at the Jamboree Jazz Club in Barcelona and appeared with LEE KONITZ's 'Alto Summit' in 1968, initiated by German Jazz critic Joachim E. Berendt, with altoists PHIL WOODS and LEO WRIGHT. In September 1969 Pony led the recording for ‘The Happy Life Of Pony Poindexter’ (Session) live at the Domicile in Munich, with JAN HAMMER, JIRI MRAZ and MICHAEL DENNERT. ‘Pony Poindexter En Barcelona’ (Wah-Wah) was recorded in 1972, with JOSE MARIA FARRAS, RICARDO SOLIS, DINA POINDEXTER, ERIC PETER, ADRIÀ FONT and PEDRITO. In 1973 he played club dates in San Francisco with artists like ARTIE LANGSTON. Poindexter spent 17 years in Europe, playing in many countries (in Paris; and Mannheim/Germany in 1977), mostly in Spain (for eight years), he returned to the United States in 1981, "and only because I had a stroke”, resettling near San Francisco, and began working as a singer. His saxophone playing career having been halted through illness. 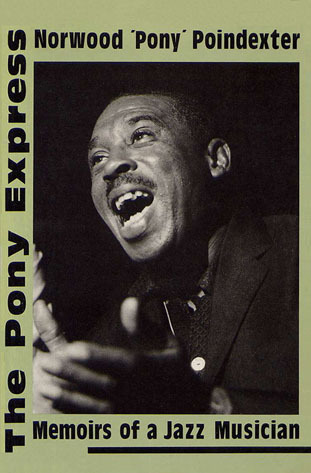 Throughout his performances, Pony displayed a wide appreciation of various aspects of the jazz form, in particular bop. His last album ‘Pony Poindexter', with NEAL KIRKWOOD, ART WASHINGTON, RICHIE GOLDBERG, was recorded in 1978 for Inner City. However he slipped away into obscurity and never gained the recognition he deserved. Pony passed away April 14, 1988 in Oakland / California. 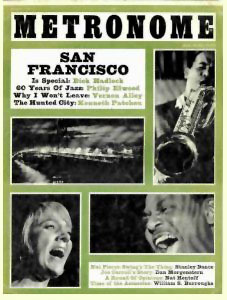 Pony Poindexter was a fantastic reed player from New Orleans who made his name in the San Francisco scene of the 50's and 60's. He said: ...I started playing in North Beach in the 50's. Leo Wright had the job first, he was working at the Jazz Cellar, or just the Cellar we called it. Dizzy Gillespie came to town and decided he would take Leo so when Leo left I got the job at the Cellar ...". 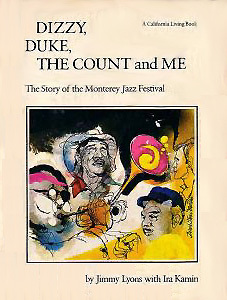 (For more see North Beach Jazz Festival - History). 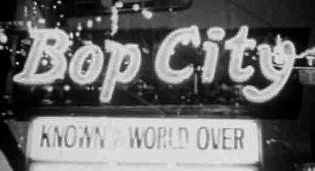 In 1950 Pony performed at the legendary “Jimbo's Bop City”, an after hours club, opened on Buchanan and Post. This chicken shack hangout blossomed into one of the greatest jazz joints of all time, stewarded by the "Bill Graham" of Frisco Jazz, Jimbo Edwards. Pony played there with tenor sax giant DEXTER GORDON and FRANK J. JACKSON (legendary jazz pianist & vocalist, who worked there as the house pianist). Artists such as Art Tatum, Dizzy Gillespie, and Gerry Mulligan performed there, as well as John Handy, John Coltrane and Frank Fisher. He played at the Fillmore District club “Jack's” and performed weekly at “New Jack's”, the last of the great Fillmore district jazz clubs. In the late 50ies the collaboration between painters and poets, poets and musicians, filmmakers and poets, was cranking up the creative heat. Pony worked at San Francisco’s Beat hangout “The Jazz Cellar”, accompanying David Meltzer (a funny, intelligent, mystical, often elliptical jazz-based poet who can do a mean Yiddish accent), who read his poetry there (working with Leo Wright also). Harry Partch, the composer who built his own instruments with names like "Cloud Chamber Bowls" and "Surrogate Kithara," had a houseboat in Sausalito that was a gathering place for students of composition. There was a series of new-music concerts called Vortex at the Planetarium, the Cellar hosted an exhibit of Joan Brown's paintings, accompanied by the jazz of Brew Moore and Pony Poindexter, and students from the School of Fine Arts were congregating at The Place for "Dada Night." One of the first bop-oriented jazz musicians to start doubling on soprano, Pony Poindexter should have been much better known during his lifetime. As with many saxophonists, clarinet was his first instrument before switching to alto and tenor. Poindexter worked very early on with SIDNEY DESVIGNE in New Orleans (1940) and later attended the Candell Conservatory of Music in Oakland. He was with the 1947 BILLY ECKSTINE Big Band, touring a few times during 1948-50. In 1949 Pony joined guitarist/singer TEDDY BUNN at a recording session for Selective Records in Los Angeles, with JEROME PARSON (p), CURTIS COUNCE (b) and BRYAN ALLEN (dr). 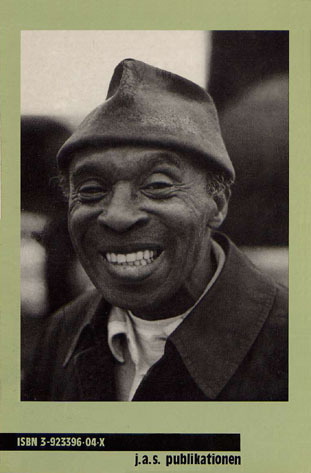 Poindexter was based in the San Francisco Bay area during much of his life, traveling a bit while with LIONEL HAMPTON during 1951-52. He worked steadily as both a sideman and a leader in local clubs throughout the 1950s. Neal Hefti, who was aware of Poindexter's talents early on, wrote "Little Pony" for the Count Basie Orchestra in 1951 (it was a classic feature for Wardell Gray), and Jon Hendricks would later in the decade contribute lyrics for the version, recorded by LAMBERT, HENDRICKS & ROSS. On October 1, 1959 Pony recorded with WES MONTGOMERY (g) and his brothers MONK (el-b) and BUDDY (p), plus LOUIS HAYES (dr), in Los Angeles, replacing tenorist Harold Land, who played an earlier session date. The four tracks appeared on ‘Montgomeryland’ and ‘Far Wes’, both on Pacific Jazz, and ‘Beginnings’ (Blue Note). On the latter album, trumpeter Freddie Hubbard´s recording debut is also heard. The same month JON HENDRICKS´s ‘Good Git-Together’ (World Pacific) was recorded live at Fugazi Hall in San Francisco, with Poindexter, NAT ADDERLEY (cor), CANNONBALL ADDERLEY (as), GILDO MAHONES (p), WES MONTGOMERY (g), IKE ISAACS (b) and WALTER BOLDEN (dr). Jon Hendricks said about this album:“... and Norwood Poindexter is here too, don't cha know, only we all call him by his other real name, the one celebrated in song and story, ‘Little Pony’. Pony plays his alto and sings so beautifully he made me 'shamed of myself. If you don't feel the spirit movin' in your heart when Pony shouts the spiritual, ‘Everything Started on the House of Lord’, then you ain't got that ol' time religion, but you you'll still feel it anyway, 'cause Pony comes from New Orleans, the cradle of all of it, an he knows about marchin' solemnly to the funerals and swingin' like crazy on the way back”. 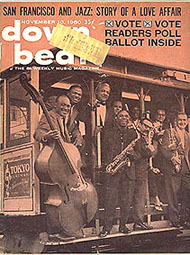 From a 1960 Downbeat cover: Vernon Alley, Earl Hines, Teddy Wilson, Pony Poindexter, Vigil Gonsalves, Vince Guaraldi, Bev Kelly, Wes Montgomery, Brew Moore, Paul Desmond, Sylvia Syms, Kid Ory and Turk Murphy on a Cable Car in San Francisco. 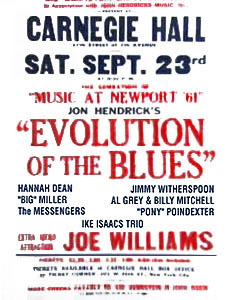 In September 21, 1960 JON HENDRICKS recorded ‘Evolution Of The Blues Song’ (Columbia) accompanied by BEN WEBSTER and Pony on tenors, BIG MILLER, HANNAH DEAN, JIMMY WITHERSPOON (voc), ERIC GALE and GILDO MAHONES on piano, BOBBY GIBBONS on guitar, IKE ISAACS on bass and JIMMY WORMWORTH on drums. On October 14, 1960 Pony teamed up with BEVERLY KELLY - ‘Bev Kelly In Person’ (Riverside) was recorded live at the Coffee Gallery in San Francisco. The singer has sympathetic accompaniment in pianist FLIP NUNEZ, bassist JOHNNY ALLEN, and drummer TONY JOHNSON. A critic said: Live recordings in San Francisco nightclubs during 1959 and '60 yielded such marvelous results for Riverside Records as The Cannonball Adderley Quintet in San Francisco, cut at the Jazz Workshop, and Thelonious Monk Quartet Plus Two at the Blackhawk. The names of singer Bev Kelly and the Coffee Gallery are hardly as illustrious, yet Kelly's belief in the results that would follow from documenting her sets at this obscure Bay Area room produced an album of lasting value. Interpreting standards at a range of tempos, Kelly displays roots in Anita O'Day's style together with a more intimate delivery. She receives responsive support from alto saxophonist Pony Poindexter and pianist Flip Nunez, two musicians who (like Kelly) deserved far wider recognition. Pony played on JON HENDRICKS´s ‘Fast Livin' Blues’ (Columbia) in January (or September?) 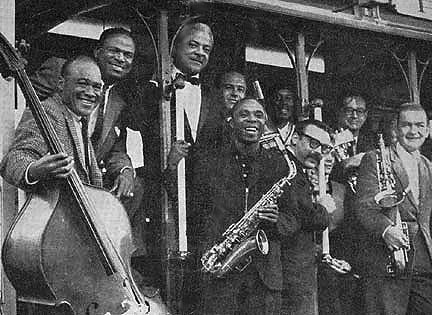 1961, together with JOE NEWMAN (tp), AL GREY (tb), BILLY MITCHELL (ts), GILDO MAHONES (p), IKE ISAACS (b) and STU MARTIN (dr). Doubling on soprano in the 1960ies, Poindexter led recording dates for Epic, New Jazz and Prestige. In 1962 he recorded ‘Pony's Express’ (Epic) on which he was joined by DEXTER GORDON, ERIC DOLPHY, JIMMY HEATH, PEPPER ADAMS, SONNY RED KYNER and ELVIN JONES. The same year he recorded ‘Limbo Rock’ (Prestige). On January 31, 1963 he recorded ‘Pony Poindexter Plays The Big Ones’ (New Jazz) at VGS-Englewood Cliffs/NJ, accompanied by the Gildo Mahones Trio: GILDO MAHONES (p), GEORGE TUCKER (b) and JIMMIE SMITH (dr). During 1961-63, Poindexter has become a member of DAVE LAMBERT, JOHN HENDRICKS and YOLANDE BAVAN´s vocal group back- up band. ‘Live At Basin Street East’ (RCA), the first of 3 albums by the vocal trio (Yolande Bavan had just recently become Annie Ross' replacement) was recorded live at Basin Street East in San Francisco, during a three-day period in 1963, accompanied by the GILDO MAHONES TRIO. Pony´s recording ‘Gumbo’ (Prestige) was made in June of the same year, joined by BOOKER ERVIN on tenor, AL GREY on trumbone, GILDO MAHONES, LARRY YOUNG on organ, GEORGE TUCKER, JIMMIE SMITH and JERRY THOMAS on drums. Pony moved to Europe in 1963, performing with ANNIE ROSS and guitarist RENE THOMAS. He also appeared on Thomas´ album ‘Blue Note, Paris 1964’ (Jeal Records), recorded live at the Blue Note in Paris on October 5 and 10, 1964, with tenorist MICHEL ROQUES, pianist GEORGE ARVANITAS, MICHEL GAUDRY / GEORGES LUCAS on bass, and JEAN-LOUIS VIALE / MICHEL DELAPORTE on drums. It seems that this CD wasn't sold in every country as it's probably not official. For example, in France, it was removed from the record dealers, just a few weeks after release, so it's hard to find now. In 1966 Pony appeared with ANNIE ROSS, at the ‘Tenth German Jazz Festival Frankfurt’. The recording from May 1 with the Berlin All Stars, featuring CARMELL JONES (tp), LEO WRIGHT (as, fl), ANDRÉ CONDOUANT (g), FRITZ PAUER (p), JIMMY WOODE (b) and JOE NAY (dr), was released by Saba and re-issued on CD in 2003 by MPS Rec- ords (Universal) (Most Perfect Sound Edition Series). Two tracks of this album also appeared on the compilation ‘Carmell Jones in Europe 1965-66’, issued in 1969 by Prestige. In 1965 and 1967 he performed at the Jamboree Jazz Club in Barcelona, with singer LOTI LEWIS, resident singer at the club, and with the young Norwegian guitarist and singer MAGNI WENTZEL, then at the start of her career. 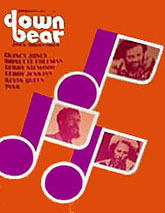 On June 2/3, 1968 Pony appeared at LEE KONITZ's Alto Summit, brainchild of, and produced by German Jazz critic Joachim E. Berendt, rubbing shoulders with altoists PHIL WOODS and LEO WRIGHT at the recording-sessions for Saba/MPS in Villingen/Black Forest (West Germany), together with pianist STEVE KUHN, bassist PALLE DANIELSSON and drummer JON CHRISTENSEN. The album was also issued by Verve and Prestige. The same year he joined a September Blues Jam in Berlin, together with DON ELLIS, MAYNARD FERGUSON (tp), ALBERT MANGELSDORFF (tb), TONY SCOTT (cl), PHARAOH SANDERS (ts), FRITZ PAUER (p), HANS RETTENBACHER (b) and BILLY BROOKS (dr). 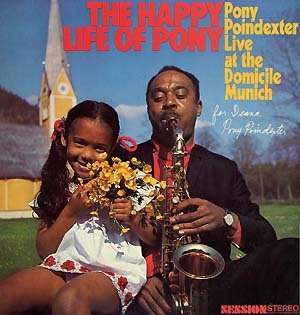 In September 1969 Pony led the recording for ‘The Happy Life Of Pony Poindexter’ (Session label) live at the Domicile in Munich, with JAN HAMMER on piano and organ, JIRI MRAZ on bass and MICHAEL DENNERT on drums. In 1970 Pony played a role in the film 'Groupie' (also known as 'Higher And Higher', directed by Erwin C. Dietrich and Jack Hill), which was shot in Berlin. The film is based on Jenny Fabian´s novel 'Groupie', who described her own experiences in the entourage of a Beat-band. It points out the life on and behind the stage of a developing music world and shows free love and other at that time inconceivable things. For details see >> disco 4. 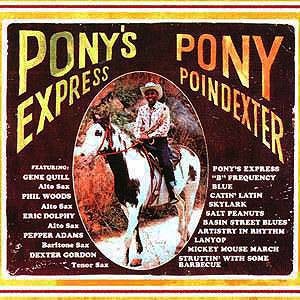 ‘Pony Poindexter En Barcelona’ (re-issued by Wah-Wah) was recorded in 1972, together with JOSE MARIA FARRAS (tp), RICARDO SOLIS (tb), DINA POINDEXTER (voc), ERIC PETER (b), ADRIÀ FONT (dr) and PEDRITO (perc). 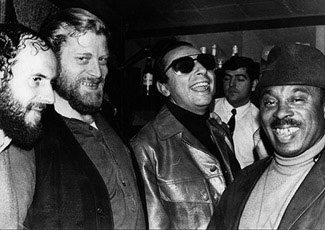 In 1973 Poindexter spent time in San Francisco, playing club dates with artists like ARTIE LANGSTON (b). 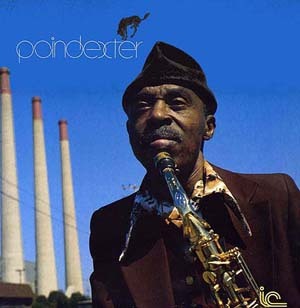 After living in Paris, Spain (for eight years) and Mannheim/Germany (in 1977), Pony Poindexter moved back to the United States, resettling near San Francisco and recording a set with NEAL KIRKWOOD (p), ART WASHINGTON (b) and RICHIE GOLDBERG (dr) for the Inner City label in March 1978 at Down-Home Productions in San Luis Obispo. Poindexter spent 17 years in Europe, playing in many countries (in Paris; and Mannheim/Germany in 1977), but mostly in Spain (for 8 years), before he came back to the US in 1978 - "and only because I had a stroke". However he slipped away into obscurity and never gained the recognition he deserved. Pony passed away April 14, 1988 in Oakland/California. Jazz Cava in Spain in November 1971. RESOLVED, that a suitably prepared copy of this resolution be transmitted to Norwood Poindexter. j. a. s. publication, (Germany), ISBN 3-923396-04X (self-published) [1st Edition, soft bound, published in 1985], 296 pages, includes 16 photo pages. Pony Poindexter’s autobiography which he mostly sold himself, tells of his life and times including his early childhood around Oakland, his time in Europe and his relationships with his jazz peers. Note: This volume never showed up on anyone’s radar in it’s time. - Dan Morgenstern: Joe Carroll - Man With A Happy Sound. - 'San Francisco Is Special'. Oliver’s Creole Band, Pony Poindexter and Kid Ory.